Wedding Cakes Birthday Cakes Children's Cakes. Kimboscake's, the home of traditional fresh baking. Artisan Baker. Wedding Cakes, Birthday Cakes, Childrens cakes & more. Over 150 wedding and celebration cakes available to view with full description and pricing. Our Wedding Cakes, Birthday Cakes and Childrens cakes are available in a range of colours and sizes. Artisan Baking. Quality wedding and celebration cakes at affordable prices. We pride ourselves in baking wedding, birthday and other celebration cakes in house. Using only fresh ingredients with no additives or preservatives. 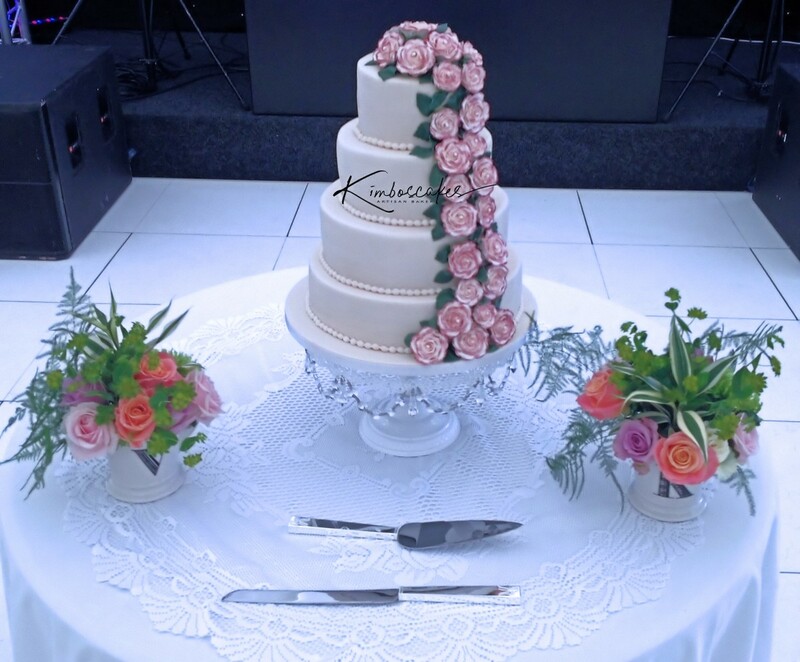 Kimboscakes create distinctive wedding celebration and Birthday cakes for all your occasions. 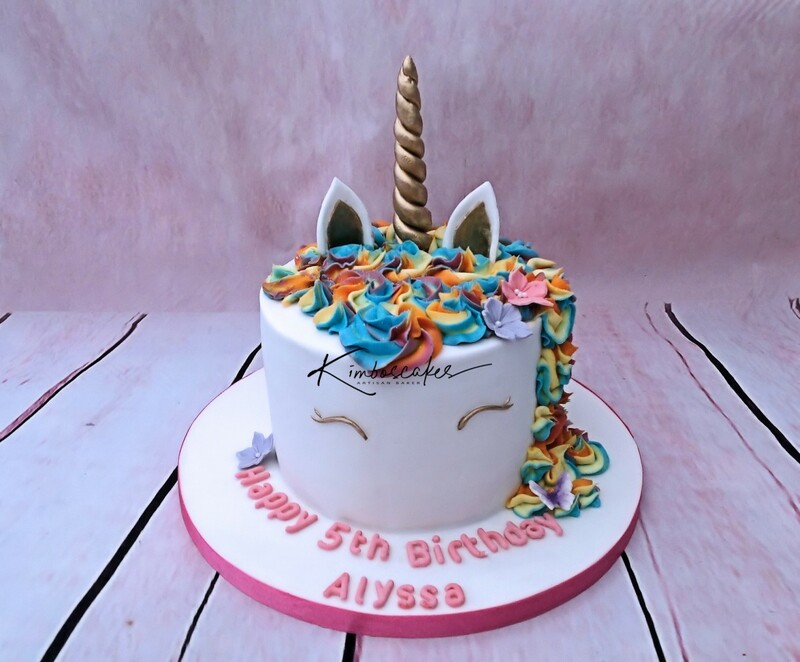 Also available is our custom bespoke cake service for those unique 3D and custom cakes. Every cake baked FRESH to order the traditional way. We offer a friendly and professional service for all our wedding cakes, birthday cakes and childrens cakes . 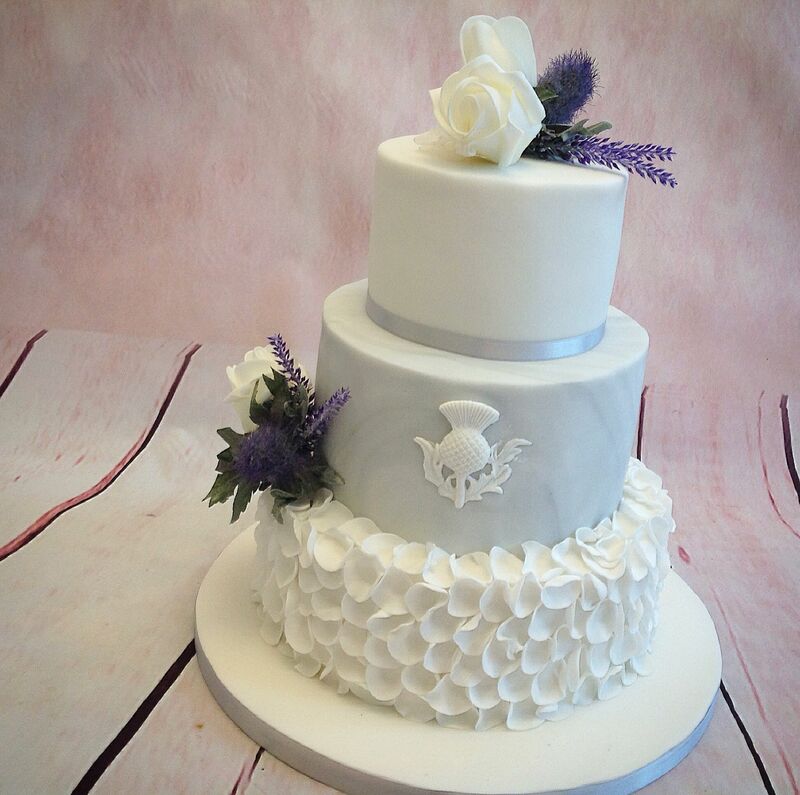 All our wedding and celebration cakes get baked, carved and shaped to order. We pride ourselves in being Artisan bakers. Catering for a wide range of religions from European through to, Hindu, Muslim and alike. We have wedding and celebration styles to suit all types of budgets. If you do not see a design you like then let us know what style you want. 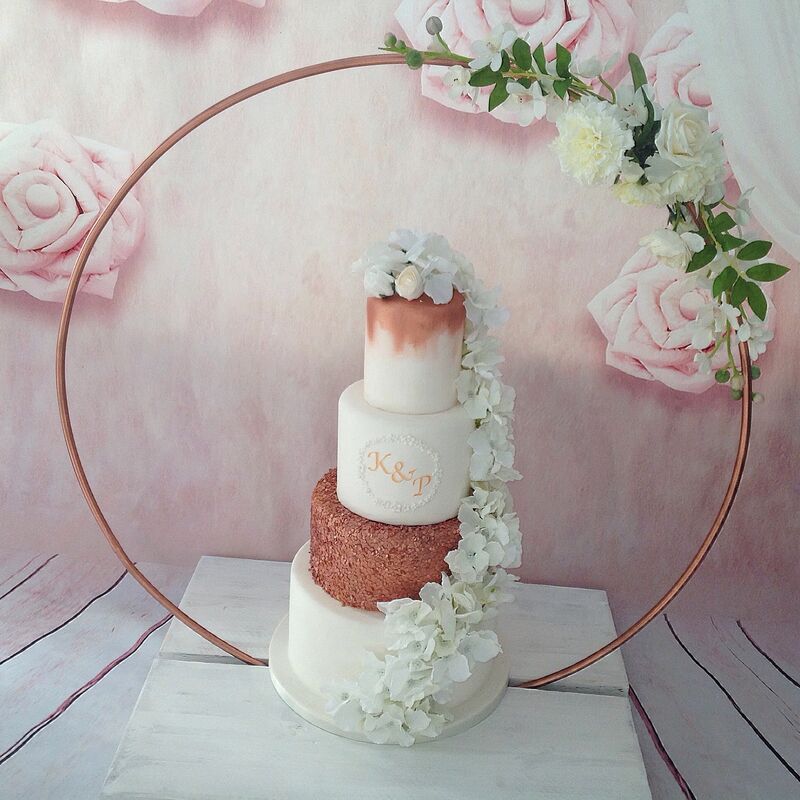 Kim will design the cake to your specifications. We also provide egg free and gluten free cakes for all occasions! Because of our experience, we have learned that a cake is only as good as the ingredients that go into it. We take care to ensure that we only use the finest products available. We also use local trusted florists when our customers wish to have flowers incorporated. 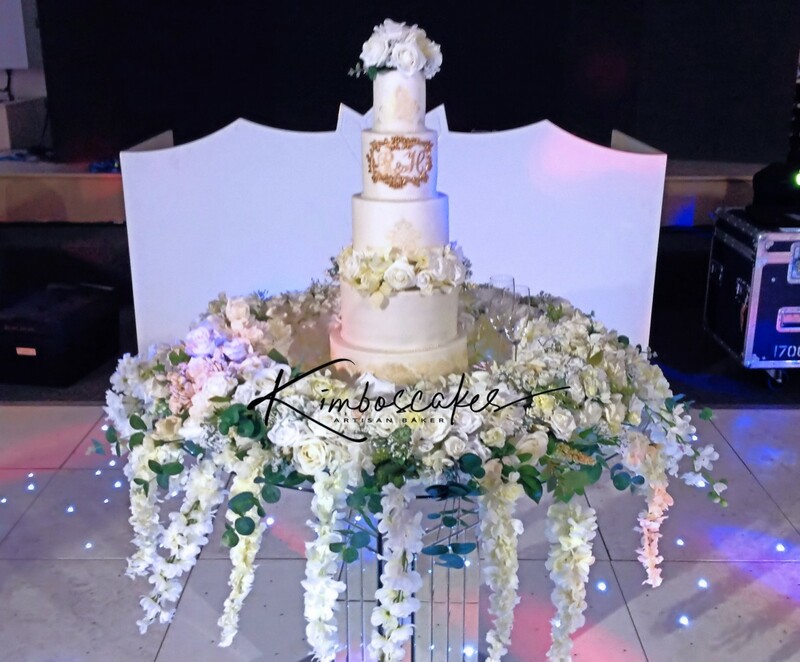 At Kimboscakes we make any type of wedding or celebration cake. So whether it is a traditional fruit, sponge or carrot cake, we will have a flavour to suit your needs. But, we do not offer limited flavours. We are Artisan bakers. As such we offer over 40 individual flavours. We often make wedding cakes where each tier is a different type of cake. Many of the flavours can also be included in egg and gluten free cakes. Check out our extensive cake flavours here. 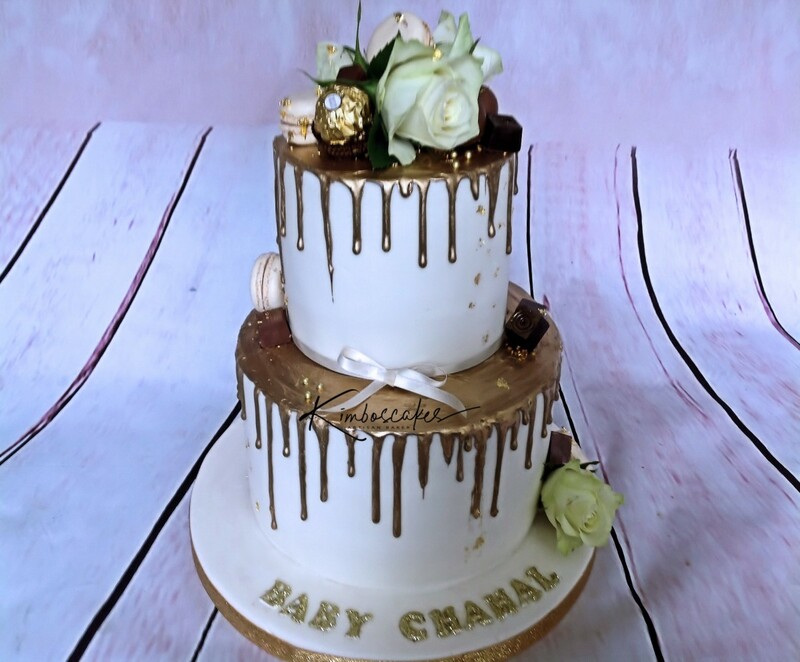 Many people come to us with a picture of a wedding or birthday that they want us to replicate or a theme with which we can build the perfect bespoke cake around, we rarely have to say no. 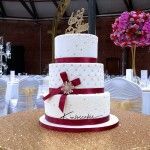 We deliver free of charge for most Wedding, Celebration and Birthday cakes to the Nottingham and Derby areas. Other nearby areas will have a small delivery charge to pay. All orders are delivered by us in person. If you do not see the design you want then please feel free to contact us. Please select the best days and times that would suit you best for your consultation.